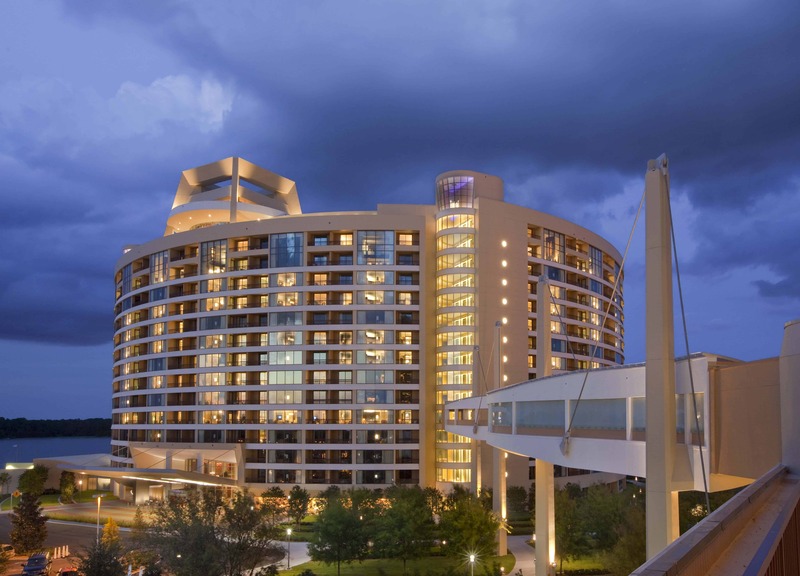 The 470,000 gsf Contemporary Disney Vacation Club is sited on 13 lakefront acres adjacent to the Main Contemporary Resort Tower on the former North Garden building area. The 16-story hotel provides 266 two-bedroom suites, 124 of which can be converted into studio or one-bedrooms. 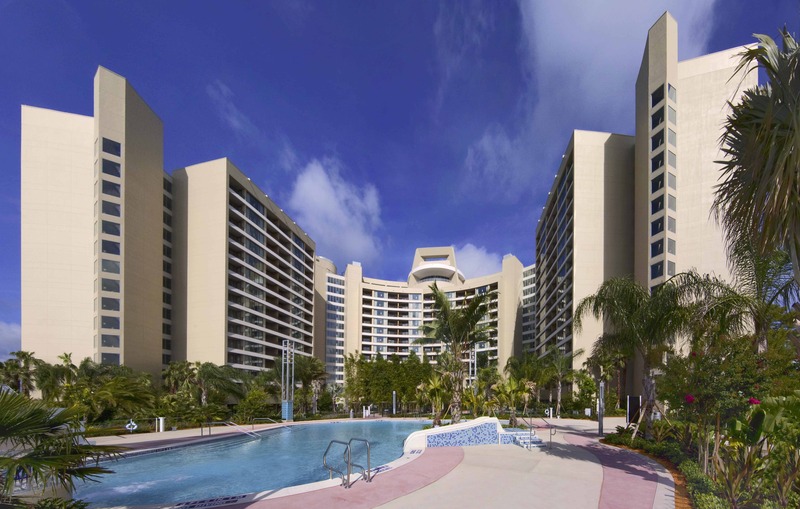 12 three-bedroom Grand Villas are located on the top floor. 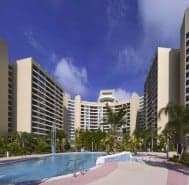 The Disney Vacation Club (DVC) is a unique alternative to the existing Disney Vacation properties, offering more luxurious, spacious and ‘home-like’ vacation rentals in a timeshare arrangement. 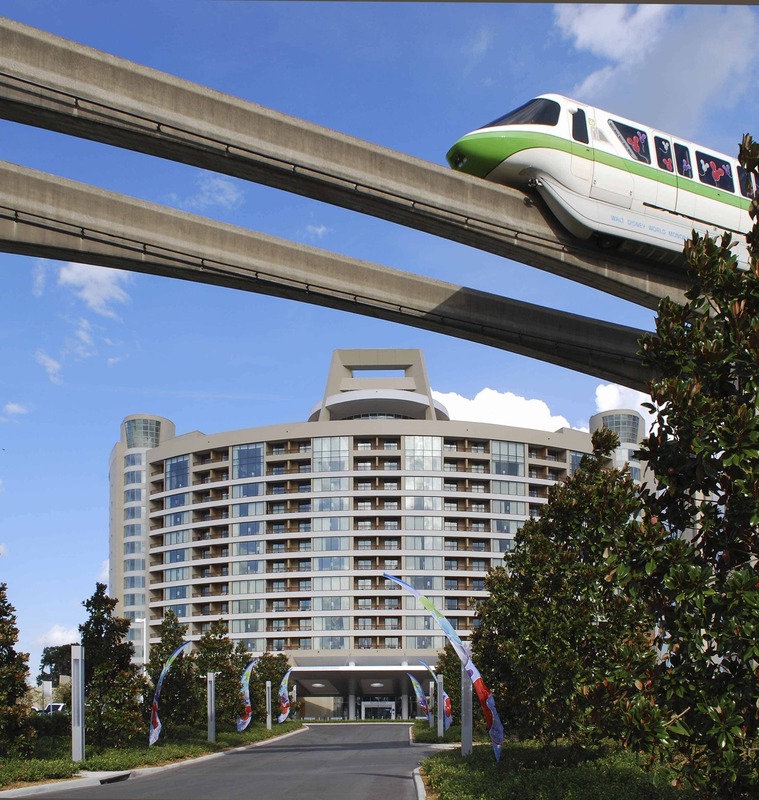 Overlooking Bay Lake, the site offers exclusive amenities for Vacation Club members, and shares facilities with the Contemporary Hotel. 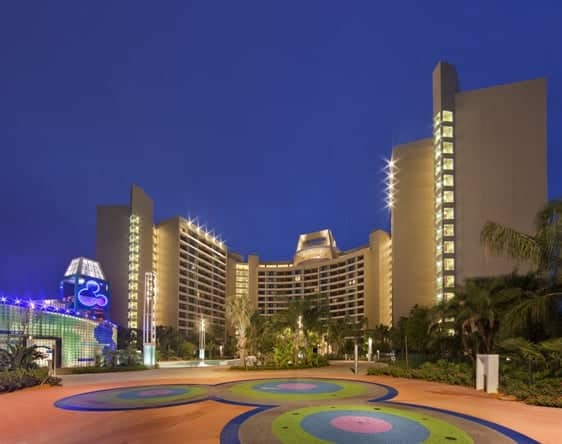 Guest amenities exclusive to the DVC tower include: a heated swimming pool and deck, volleyball and tennis courts, a playground, Main DVC entry, service entry, valet parking, and a covered walkway to the Hotel. Back of house spaces include administrative offices and cast facilities. Public areas include a five-story Atrium Lobby with a dedicated Community Space for members’ functions and events. On the terrace level, a 1,200 square foot Member Living Room with DVC Information Center Desk provides additional open recreation space for members, along with a viewing terrace. 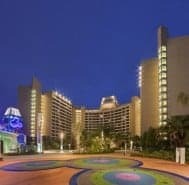 Similar to Gwathmey Siegel’s 1991 Disney World Convention and Exhibition Center addition to the Contemporary Resort development, the challenge in designing the Disney Vacation Club was to establish an exclusive, signature identity for the tower comparable in scale to the existing Contemporary Tower by Weldon Beckett. The tower’s exterior walls are composed of sympathetic materials—stucco with a composite metal panel system—responding to both the original Contemporary Tower and Gwathmey Siegel’s earlier addition. 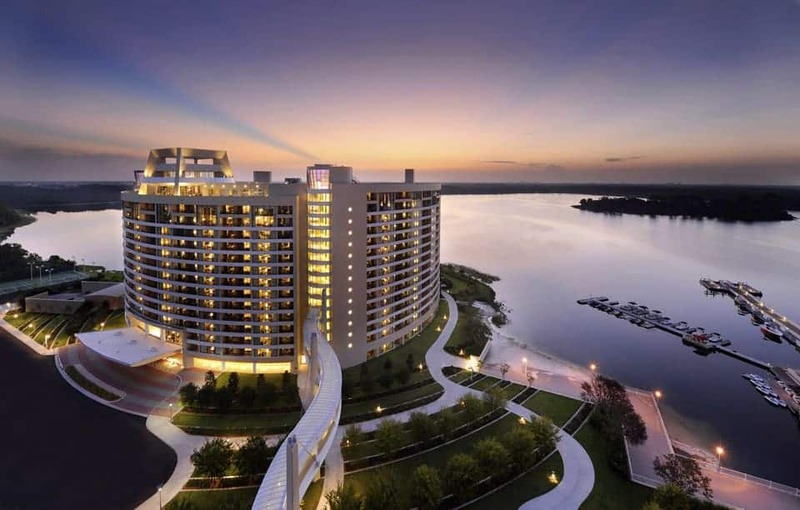 Our design responds to the existing development, as well as the tower’s exclusive siting on Bay Lake. Every suite has a view of either the Lake or the Magic Kingdom. 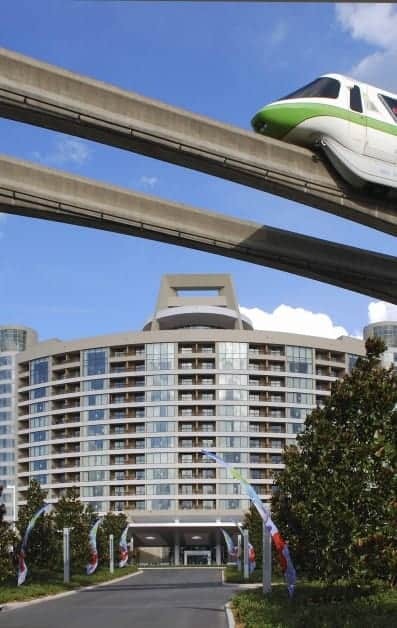 A Typical two-bedroom suite is 1200 square feet, with a full kitchen and other residential amenities.The new Vacation Club is the closet to the Magic Kingdom, and offers club members the opportunity to walk to the theme park or take the Tram from the Contemporary. The new property is a rising tower addition to the large Contemporary development, unique to the low-rise complexes typical of the area.